Community Economic Development (CED) and the Social Solidarity Economy (SSE) are essential ingredients in achieving the United Nations' 2030 Agenda for Sustainable Development. 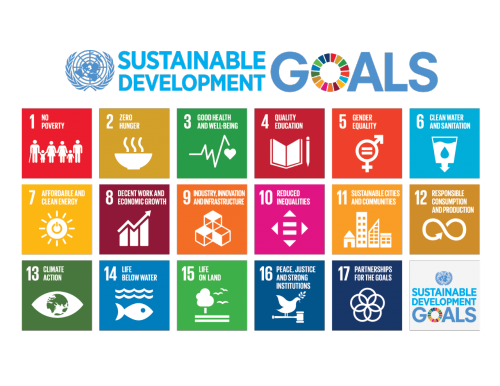 Replacing the Millennium Development Goals in 2016, the 17 Sustainable Development Goals (SDGs) should be viewed as a collection of interrelated objectives (addressing intertwined social, economic and environmental issues), better pursued together than in isolation. The new goals, and their 169 targets, favour collective action, not just by all countries but by all people within each country to ensure that everyone is included and "no one is left behind". We can look to CED and the SSE to find effective models for community-led action to address a multiplicity of issues. Community Economic Development (CED), at it's heart, is about a process that people can take in their local communities to mobilize resources, identify assets, and strengthen their economies. The emphasis is on local control and ownership of resources and the aim is to ensure prosperity is shared equally and, most importantly, by those who are the most marginalized. CED is a strategy used commonly to build the Social Solidarity Economy (SSE). Services, enterprises (e.g. social enterprises, cooperatives, credit unions, etc.) and community organizations developed through a CED process are all important components and contributors to the SSE. Recognizing that the economy has direct impact on all areas of life (economic, social, cultural, political, and environmental), the SSE cuts across all sectors of the economy (production, finance, distribution, exchange, consumption and governance) in an effort to serve the welfare of communities and overcome inequalities. The SSE is an international movement for local communities around the world. The United Nations has recognized the importance of this movement by the creating the UN Inter-Agency Task Force on SSE. RIPESS (the Intercontinental Network for the Promotion of SSE; of which CCEDNet is a member) is an observer organization on this task force and has been an advocate for the inclusion of the SSE in strategies undertaken by countries to fulfill the 2030 Agenda. The 2030 Agenda, however, is not just about international collective action. We need to build the SSE in our communities and celebrate the CED work that is already taking place. STAY TUNED: In August we'll be putting out a call for stories to hear about how you are making the link between the 2030 Agenda and CED/SSE. CCEDNet members are invited to join our CED/SSE and the 2030 Agenda working group to identify ways in which we can promote and encourage action around the 2030 Agenda. Join Alliance 2030, a national network of organizations, institutions, and individuals across Canada committed to achieving the 17 UN Sustainable Development Goals by the year 2030.